Weymouth Primary School is conducting a lock down practice. All updates are provided on our website. Please do not come to the school or phone the school as you will not be attended to. We will update this website when the exercise has been completed. Thank you. We have now completed our lock down practice. Everyone did extremely well and responded to instructions. A notice will be going out to parents/caregivers tonight to provide some more information about our emergency lock down procedures. Kia Ora, Talofa lava, Malo e lelei, Fakalofa lahi atu, Kia Orana, Namaste, Bula Vinaka & Warm Greetings to you all! Kia ora koutou, talofa lava and warm greetings to our Weymouth Community, parents, grandparents, aunts and uncles, cousins and our beautiful tamariki. It is so exciting to back at the helm for 2019 after a wonderful year of studying towards my Masters Degree in Educational Leadership. I have one more paper to complete which I will finish this year, part time. I would like to take this opportunity to say a huge thank you to Mrs Iese for stepping into my shoes for 2018. I congratulate her. There are lots of exciting changes happening for our school. We welcome 11 new staff across all teaching levels. They have had a fantastic start to the year. We opened early January to ensure we all had a great lead in so environments inside and outside were ready for our children and families. We have a large leadership team to support teaching and learning with myself, Mrs Iese, Whaea Danielle and Mrs Miers all working in "The Hub' our new office. Mrs Johnson is in Room 5 and supporting our Years 1 to 3 teachers and Mrs Hodge is in Room 19 supporting our Years 4 to 6 teachers. We welcome new team leaders: Mrs Farrell in Moana team, Mrs Pandey & Mrs Reddy in the Te Awa team, Mrs Clark in the Papa team, Ms Ha'unga in the Maunga team, Ms Pritchard in the Rangi team and Whaea Juanita in Te Manu Tukutuku. Our team leaders have a new role where they are responsible for the Pastoral Care and Health and Well being of students and teachers in their teams and ensuring they report on the attendance of students in their teams. We are aiming for 95% attendance across the whole school. We have an exciting theme for inquiry "LEARNING THROUGH PLAY". We are encouraging our teachers to make sure their programmes are fun, motivating and engaging as they support children to learn as they learn through play. We will be launching our inquiry shortly so keep an eye out for the newsletter with our key dates for term one. At Weymouth Primary School we have a vision "Strive for the Best" our values "respect & honest" and our Weymouth Way: We think. We help. We learn. We care. We work hard to ensure these are integral in our teaching and learning programmes and would love our families to help support in the home. This year we are continuing our professional learning & development "Culture Counts" Relationships Based Learning. We believe at our school the most important thing is building relationships for learning so our children can succeed to their potential. We have engaged also in a new professional development with "Inner Fit". This is where we focus on Physical Education through character development. Lastly we have engaged the team from "Zero Waste" to help us minimize our waste and teach our children the importance of reduce, reuse, recycle and up-cycle. In our Year 1 to 3 classes we will be doing "Play Based learning" approach to our teaching and learning. Mrs Farrell and Mrs Hughes will be supporting our teachers. In Years 4 to 6 we will be looking at "Teachers as Researchers" led by Mrs Hodge and Jacinta Oldehaver. This approach is around collaborative teaching and learning in a supportive environment. Our roll is currently 530 which includes 47 new students and families to Weymouth. We have added some new signage around the school and are currently working on some art projects to add to our outside environment. Our community school garden is looking spectacular. A huge thank to Sarah for her hard work over the break in looking after our animals and gardens. This year Sarah will have the garden open at morning tea and lunch time for our children to enjoy. School uniforms are compulsory this includes hats for terms 1 and 4. Please feel free to come and see me if you need support in this area. We have our tuck shop continuing with Jamie looking after the orders. Cheryldene also runs a breakfast club in the hall every day from 8.30 to 9.00am. At this time children can also make some lunch for themselves too. We will supply bread, spreads and muesli bars for them to make their lunch. Communication. It is important we can contact families at all times. If your details have changed please pop into the office and let us know. We try to communicate via our newsletter, emails and our newest form of communication is Skool loop app which you can download on your phone and at all times know what is happening. On our website we also update all the upcoming events all the time. 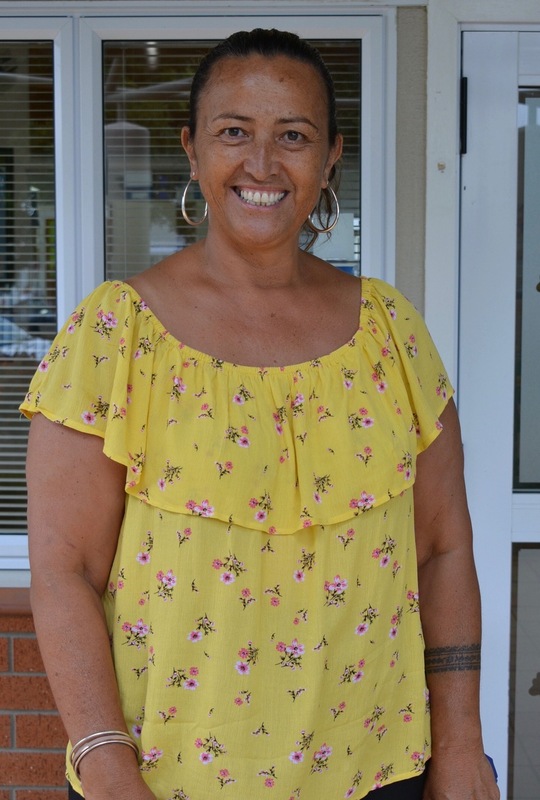 We will continue our transition to school programme and this year it will be led by Whaea Danielle. This year we will continue with our Travelwise programme led by Mrs Johnson. We are proud of Mrs Johnson and our students efforts as we received a gold award last year. We also have lots of engagement activities and Mrs Johnson and Ms Pritchard will ensure that daily we have lots of equipment out to support children to have fun. Our pool is also open at lunch time daily. Over the next few weeks our senior students will be told of all the leadership roles they can apply for in 2019. Once all of our leaders have been appointed we will have a special assembly to welcome them into their new roles. Our board of trustees meet every month to ensure we have set the direction and strategy alongside our annual plan so every child achieves to their potential. We work together with our board so that all children experience success and have their successes celebrated. Education at our school is about creating opportunities for each and every student to dream what their futures could look like. These dreams build on the unique and distinctive stories that students bring, and are supported by the stories that we share as a community. Last year an independent task force was commissioned to have a critical look at our education system which was last reviewed in 1989 when Tomorrow's Schools was introduced. Parents you now have an opportunity to have your say. If you have a computer click on google and pop in "Tomorrow's Schools Review 2019" and have your say. It is critical we all have our say so we get it right for our future generations to come. The report is open for public consultation until 7th April 2019. Finally my door is always open, so please feel free to come and see me any time. We are here to serve our children and community through providing quality teaching and learning every day where we are all responsible.